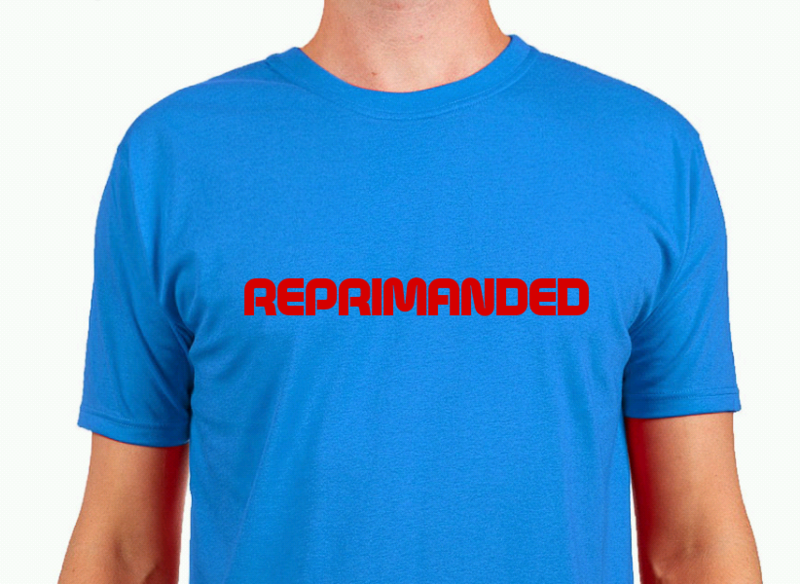 UNITED STATES --- Adventist Book Centers across the country have announced that they have sold out of "REPRIMANDED" T-shirts that were launched earlier this week. The T-shirts went on sale after this Sunday's Annual Council 2018 vote to approve a controversial compliance document. This vote meant that church leaders found to be out of compliance with certain GC positions can now be publicly reprimanded. ABC stores began to sell the T-shirts in the "Wall of Shame" section of stores, next to Starbucks Addicts Anonymous pamphlets. Just before stock sold out this morning, the T-shirts had moved to the Badge of Honor area, next to Master Guide regalia. Guess I will just have to make my own!